The Airline Seating Chart application illustrates the use of the map control beyond typical geographical solutions. 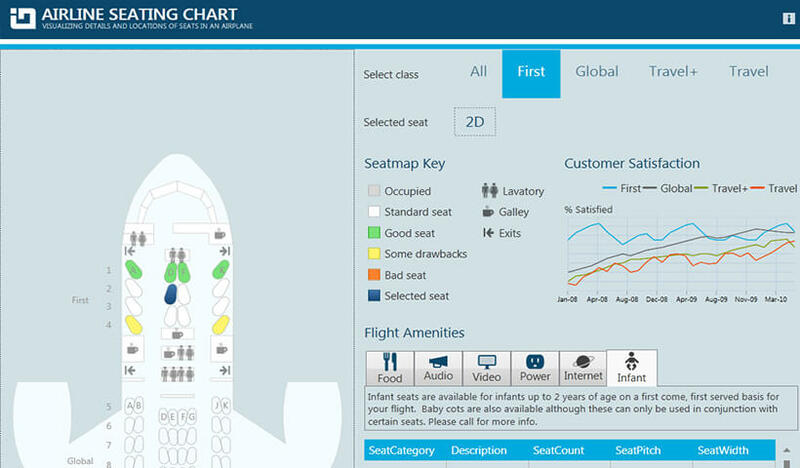 The map control allows easy implementation of an interactive airline seating chart, integrating customized shape files. The seating chart provides detailed visuals on seat location, quality, availability, and flight amenities. A customer satisfaction chart is also included.